In Praise Of A 'Fetastic' Summer: Nigella Lawson Food writer Nigella Lawson doesn't much care for shopping in the summer. "[It] is really so much worse than cooking," she says. Her solution? Feta cheese. The aged, salty, grainy cheese keeps well and goes nicely with a variety of summer vegetables. Nigella Lawson recommends combining feta and fresh vegetables for a light summer treat. 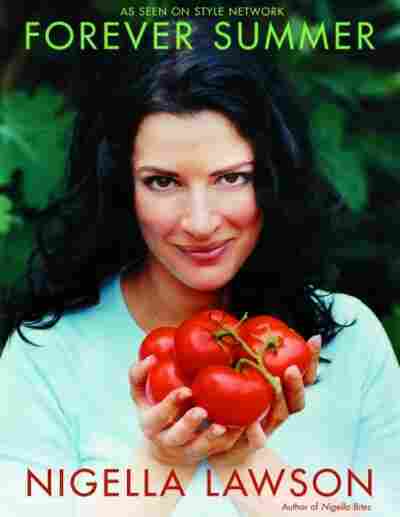 Food writer Nigella Lawson doesn't much care for shopping in the summer. "[It] is really so much worse than cooking," she says. Her solution? Feta cheese. The aged, salty, grainy cheese keeps well for long periods of time in the fridge and goes nicely with a variety of summer vegetables. But Lawson sees another benefit of feta. "I dare say that when it's hot, you lose liquid and salt through sweating," she tells NPR's Steve Inskeep. "Therefore, it's quite natural to want a salty cheese." Natural, indeed. "Do you want to just keep talking for a minute, because I'm going to take another bite here," Inskeep says between samples of Lawson's grilled eggplant with feta, mint and chili. The dish is simple: Grilled slices of eggplant are brushed with oil and then rolled with a stuffing of crumbled feta, red chili, a little lemon juice and some fresh mint. "I go mad for mint in summer," Lawson says. "I think it's very undervalued." Mint is also featured prominently in her zucchini fritters. But these fritters aren't the heavy, deep-fried things that might come to mind. They're "absolutely 'fetastic,' " Lawson says. Instead of milk or cream, she uses feta. Add a pound or two of grated zucchini, eggs, a little flour, seasoning — and of course, the mint — fry them up like pancakes and sprinkle with lime juice. Served at room temperature, the zucchini brings out a surprisingly sweet taste, she says. "It's a bit like little cakes of herb-y, zucchini-y scrambled eggs." And with zucchini, eggplant and summer squash overflowing in many produce aisles, Lawson says, "Why not make them the star of the meal rather than having them just as a side dish?" For dessert, she suggests ice cream topped with hot blackberry sauce. But instead of cooking the berries in sugar, Lawson uses balsamic vinegar. "It just brings out the taste enormously," she says. And that, of course, is the whole point. 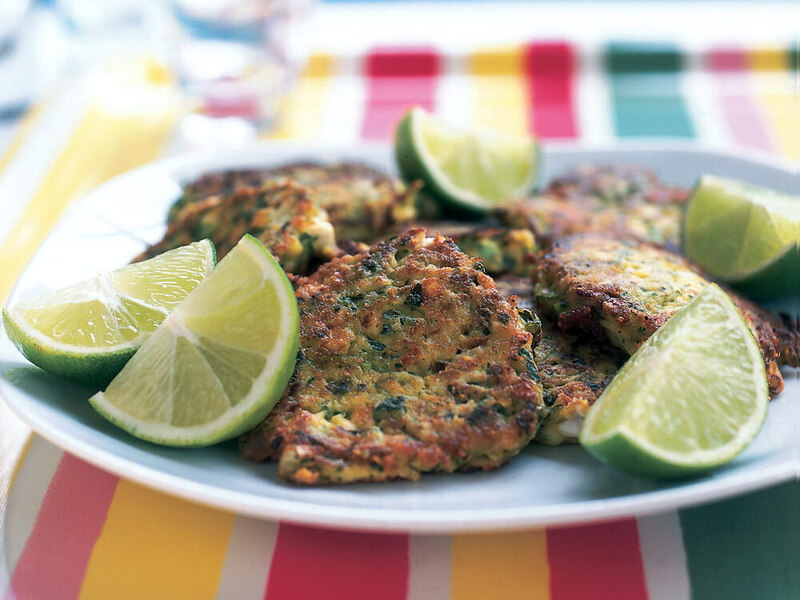 Fresh herbs and lime help keep these fritters light enough to enjoy as a summer's lunch. I know the word fritter conjures up a complex world of deep-frying and dense eating, but these are light, simple babies — just grated zucchini, mixed with feta, herbs and scallions, stirred up with flour and eggs and dolloped into a frying pan to make little vegetable pancakes which, unlike most fried food, are best eaten not straight out of the pan, but left to cool to room temperature. This takes any slaving over a hot stove element out of the equation: you just spoon serenely away over your pan before anyone's around. I like these best as a starter — or just as they are, along with a green salad, for a meat-free, summer's lunch. This recipe has not been tested by NPR. Reprinted from Forever Summer by Nigella Lawson. Published by Hyperion Books. London's Ivy restaurant has a star dessert on its menu that is plateful of frozen berries with hot chocolate sauce poured over them. It's immodest to say it, I know, but I prefer my version: the iced part is the white chocolate; the hot sauce, a tart, beaded river of blackberries. Scoop the ice cream into knickerbocker glory glasses, if you've got them, and pour the molten bramble sauce over. Even if you think you don't like white chocolate, you'll like this. Put the berries, sugar, lemon juice, balsamic vinegar and cup water in a saucepan and bring to the boil, turn down heat and cook for a few minutes. Take the pan off the heat and stir in the arrowroot paste. Pour into a wide-mouthed pitcher or bowl with a ladle and take to the table with the ice cream.